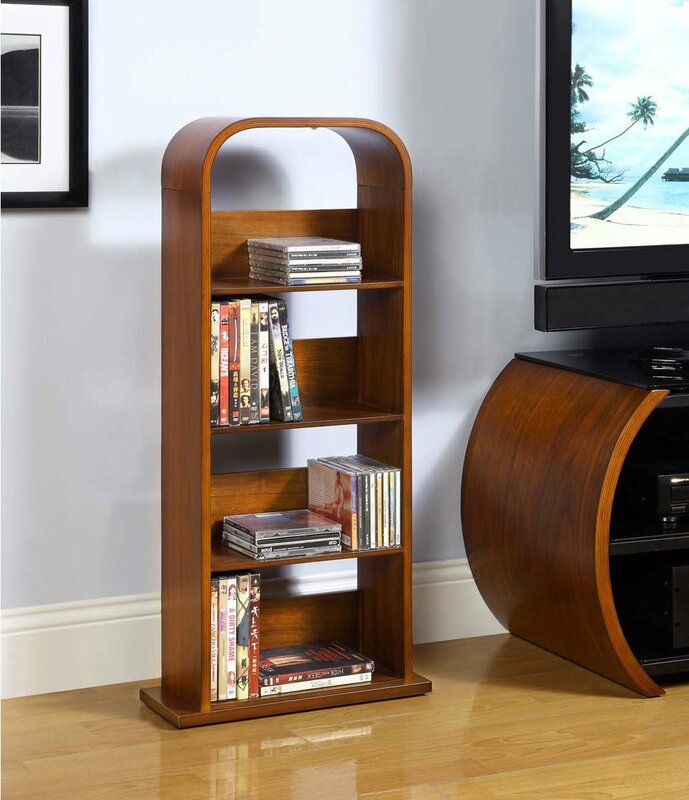 - The JF501 shelving unit is finished in a sumptuous Real Walnut Veneer to match the Curve Range of products. - The wood curving process gives this innovative design its unique appeal. The JF501 shelving unit is finished in a sumptuous Real Walnut Veneer to match the Curve Range of products. The wood curving process gives this innovative design its unique appeal. Really neat little storage unit. Deceptively spacious. Great quality and value for money. Third piece of Jual furniture purchases. Really impressed with their products. Strongly built, practical and very well finished - best of all - British built!